Hotel guests now expect a seamless experience between their online experience of a brand and real life. Local San Diego creative agency i.d.e.a. 's campaign work for Harrah’s Resorts has resulted in a merging of ad messaging, look and feel, and customer touch points on property. 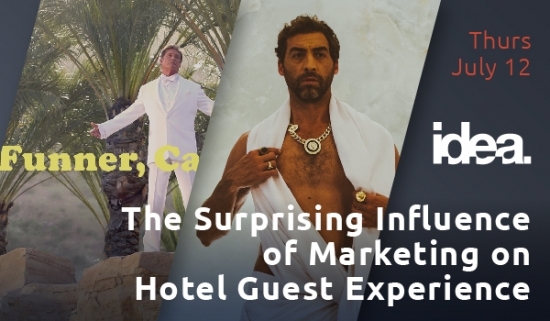 Curio Hotels is now extending their recent #BeCurious influencer campaign across its website and directly to guest experience. i.d.e.a. 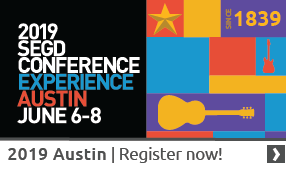 Co-founder and Chief Relationships Officer, Jonathan Bailey, and Executive Creative Director, E Slody, will speak to the power of Hospitality Design through their work with leading brands and showcase how the merger of Marketing and Visual Communications is making for some of the hottest brand experiences. ​Please RSVP so we know how many to expect. Space is limited. i.d.e.a. is an award-winning integrated marketing agency and Certified B Corporation that partners with companies seeking courageous solutions to their business challenges.